EliteForm is proud to announce the addition of Power 1RM tracking to the EliteForm Integrated system. 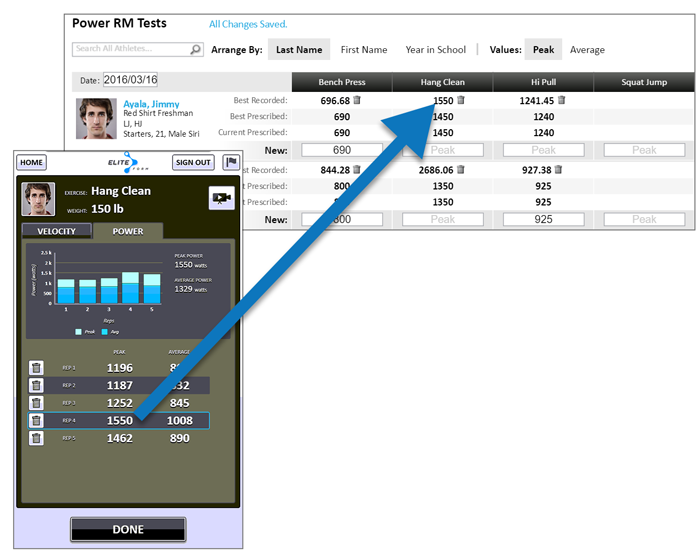 Similar to 1 RM Tests and Performance Tests, Power 1RM gives coaches the ability to note and set Power goals for athletes. This additional data point helps coaches make more informed prescriptions for workouts. The Exercises administration page is updated with a new Power RM option. All that is needed to begin using the new Power 1RM feature is to set this option to “Yes”. Best Recorded – The highest 1RM amount of power generated by an athlete. Best Prescribed – The highest 1RM power amount prescribed by a coach. Current Prescribed – The current 1RM power amount prescribed by a coach. The Current Prescribed amount is updated by simply entering a new amount and tabbing away from the field. 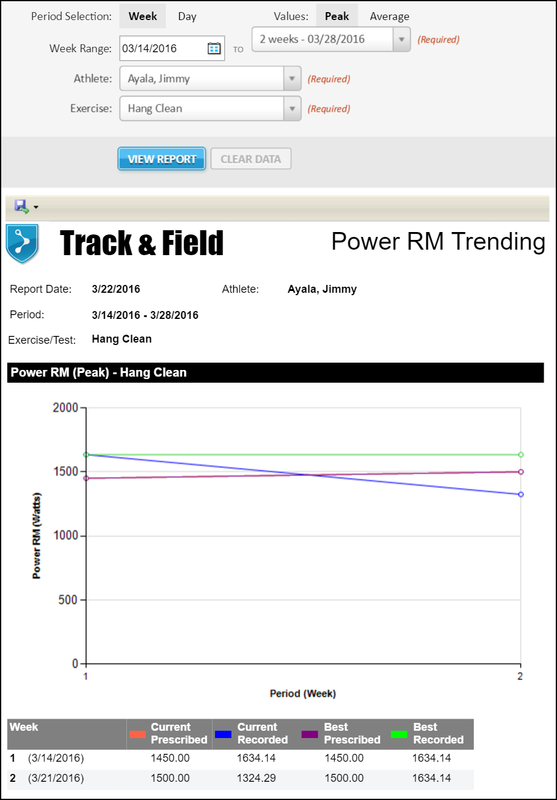 Two new reports are also added: PowerRM Comparison and PowerRM Trending. Power 1RM will be available in the coming weeks to all EliteForm Integrated clients. We were recently visited by CNN’s Coy Wire to talk about how EliteForm PowerTracker tracks the amount of power athletes generate at the rack. And Coy wasn’t alone. Willie Jones, Husker Assistant Strength and Conditioning coach, was there to give Coy a little healthy competition at the rack. We are pleased to announce the completion of our StrengthPlanner API. This new feature gives coaches a way to view workout results in other places such as Athlete Management Systems and custom reporting tools. Get just the information you want in the system of your choice. As the number of technologies providing managers and coaches with data continues to grow, the ability for coaches to access a ‘single source of truth’ containing actionable metrics becomes paramount. With the StrengthPlanner API, you know our data will play nicely with the rest of your analytics. For more information on the StrengthPlanner API, contact us at support@eliteform.com.